So it turns out that SH might not actually be what we think he is and SY might actually be a pretty good detective if trained well. She is able to figure out several things today which leads to a big, huge, revelation. JW is still on the hunt for whoever sent her that usb, and she just might have found them with HY’s help. And ES is still traipsing all around Seoul with the son next to her. But another person is introduced into that case which introduces a whole nother side to things. The ladies are at the candle shop, making a candle. Their friend shows them how to make it. You add the core and then put what you want inside the candle. Married women, you have to give it to your husband, not your boyfriend. Everyone laughs. SY puts in a bracelet in hers. It looks like they all put a bracelet in their candles. HY isn’t there, ES says she is not the type to make candles, she meets men instead. JW says that is true. JW asks whose initials are on her bracelet, do you have a man? Hey, ES has a man! ES just smiles. JW jokes with her and they all smile. Someone walks through A jail. It is a man; he goes to meet with someone. He meets with ES. It seems like this might be the candle shop owners husband. He tells ES that she shouldn’t come here to see how the husband of her friend is doing since I killed her. You testified against me and am showing me that you are living okay. Of course, you shouldn’t’ be here for that purpose. ES tells him that it was against him, but the counseling with JH was the right thing to do for the family members. He says that whenever he drank he hit his wife and told her that he would kill her, and I am a Casanova and had no alibi when my wife died. That is…I am surrounded by her family members and I am having a hellish time. That was the right testimony? ES tells him that they have evidence. CCTV. He gets up and yells that he didn’t’ kill her! She asks who killed her. You said in the courtroom that you didn’t kill JH. JH had an affair and that guy killed her. Was the affair guy MJ? He says, if he was the affair guy then I would already kill him. 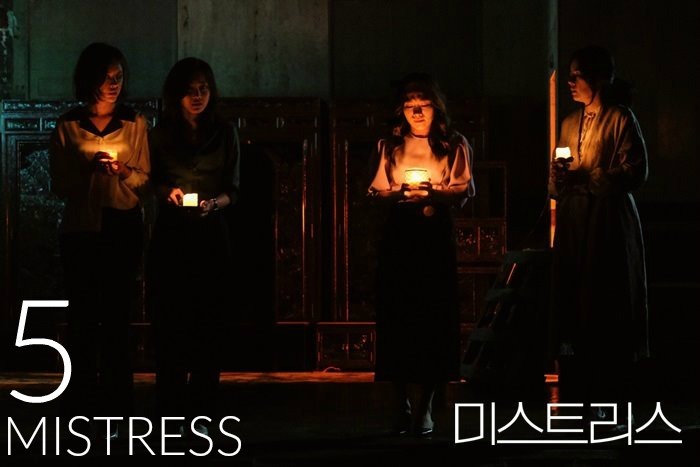 ES says he was killed after she died, and the candle made in JH’s studio disappeared. Perhaps, it is related to JH’s death, you know something. He leans in and asks why he has to tell her anything. If he knows it, why should he tell her? The Son is outside and takes a few snaps of ES walking out of the prison. She gets back in the car. He asks her what he said. She fills him in. She tells him that he is so persistent, is it because you take after your father? He says he takes after his mother more. He always finds a way when there is a block. SH makes SY a shot and has her taste it. She sits and takes a sip, she tells him that it is not just nice. He tells her that he was a barista hopeful. His wish is to go to Jeju on an overnight trip, with kids of course. SY asks what he would like to eat? She will try her best to make it. She wanted to tell him before. She is really thankful to him. He tells her that she sometimes makes him forget what kind of person he is and what he has to do. He will not let this chance go, grab it. Expect it. But someone comes in and asks a question. Can she park in front of this building? The man sees the woman and looks alarmed. The woman asks SH, how is Ah-hyun? She should be big now, can you say hi for me? He tells her okay, but he kind of stutters through it and then sits back down. The woman leaves. SY watches all of this. It looks fairly suspicious. DS is sleeping. JW is in her office trying to figure out what that person used to capture this video. A cell phone? She sees a tiny reflection in her camera. Cut to JW looking at several cars in the parking lot. Everyone has a similar camera. A woman gets out of her car and happily asks what JW is doing. JW smiles and says she will be in soon. HY. HY is getting ready. TO texts her and tells her to have a nice day. HY smiles and says a nice day doesn’t come when you want it to. SY. SH runs to his door and opens it for SY. Then he runs back to get ready. SY runs into the back room and into SH’s office. SY follows her and tells her that she shouldn’t’ run into Ajusshi’s room. While leaving the room, SY notices the same blue envelopes from the letter she got. Then she notices a booklet and sees a lot of lists. She thinks back to SH telling her about his wife making lists. The last thing on the list was Ah-hyun’s name. The name in the book is Han Sang-hoon. So, this list thing is something that he does. SY looks alarmed. JW. Everyone at school is suspicious to HY. One of the older teachers asks if HY and JW fought recently, why are they so cold to each other? They tell each other hello curtly. ES. She thinks about what the Son told her about being like his mother and always looking for a way. She locks all her recordings in her bookshelf at work. Then she meets with SY, but SY is a bit distracted. She asks SY if she is okay, she doesn’t’ look that good. Tell her. SY says it is nothing. ES starts to talk about meeting JH’s husband. She thinks JH might have been dating someone and that person might be the murderer. SY asks if ES knows anything. ES says that JH told her a few times before she died, she can’t tell her the details, but she had husband problems and man problems. It seems like she liked that man a lot. SY gets a call, her nanny can’t work because he has back pain and has to go to the hospital. SY is all like…um…how can you do this? The lady says she didn’t have a plan to get sick, what can she do? SY tells her she needs time to find another nanny. The lady just tells her she is sorry for today, goodbye. HY. HY goes to work and sees TO’s wife talking with the attorney. She hides. ES. The bookshelf is broken into at ES’s place. She opens it. Does she still have all the tapes? Perhaps some are missing? She thinks back to the son telling her that he finds ways to solve his problems when he hits a wall. ES asks the nurses if anyone came to her office? They say no. She asks if Cha Sun-ho went to her office? They said no. The Son calls. ES immediately brings up the tapes with him. His fathers recorded tapes. He feigns ignorance. She tells him that he broke the lock, how can you pretend like you don’t’ know anything about it? ES says, wait a minute, you have Appa’s recordings? ES tells him they should hang up. Then she looks at her files. JH’s tapes are taken. ES thinks back to JH. Then we cut to her looking at CCTV’s. The nurses are sorry about all of this. The fire alarm sounded so they all left. They should have locked the door. They see an ajumma with fiery red pants walk in. Her face is all disguised. ES thinks back to asking the little boy what the lady looked like. He says her eyes were so big like a dragonfly. SY. SY is pouring a drink at work. She thinks about being in SH’s office and looking at his notebook. 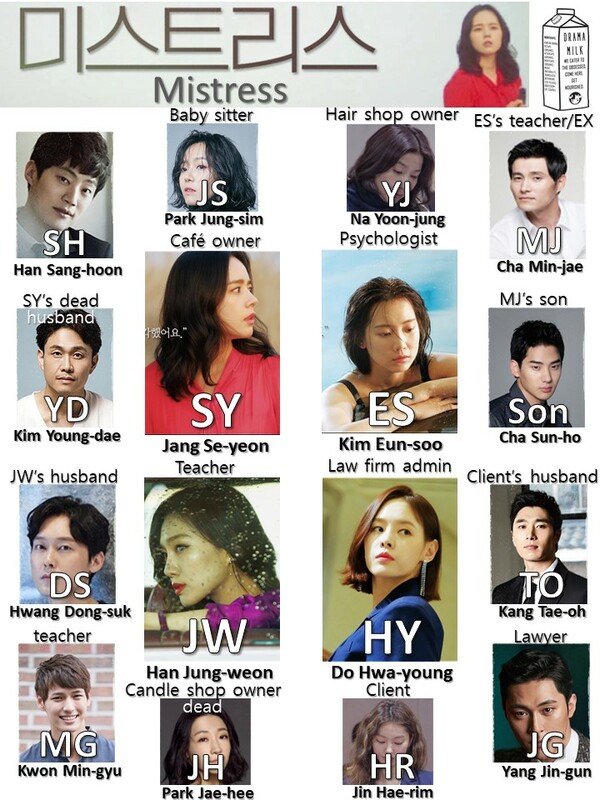 The last name on the list is Ah-hyun under “Things I have to Leave.” She spills the coffee. Her assistant says she will help her. SY goes to sit at a table and thinks back to the lady that asked SH how Ah-hyun is, she should be big now. SY googles flower shop because she remembered the name from the flower shop truck. Cut to SY going to that flower shop. She asks if anyone is there. A voice says to wait a second. Then the lady comes out, she looks nervous when she sees her. The lady says she doesn’t’ know him well because he was so busy. SY thinks she knows Ah-hyun well. The lady says is because she saw Ah-hyun since she was little. SY asks if she still has contact with the eunnie person? I would like to have her contact information. The shop lady asks bluntly if they are dating? That is too much, eunnie didn’t die all that long ago. She shakes her head. SY is shocked, she died? I heard that they were divorced. Shop lady says she doesn’t’ know him that well, just leave. The shop lady walks off. SH gets a call from SY. She says that he said his workplace is on a certain street, I am almost there, would you like to eat together? I am outside. He says he is outside now. She tells him that they can have tea. She will go to the company and wait in a cafe. He tells her, hold on, hold on, someone is calling me, I will give you a call soon. He is actually in her house looking around. He was looking for the missing husband’s things. He took pictures of all her photo albums. JW. JW shows the video to HY. She is still trying to figure out who took the photos. They are at HY’s place. JW wants HY to research whose car this is. She should know someone who does this kind of job. HY says it isn’t difficult but…what is this situation? JW doesn’t want to explain too much. She has stomach pains from this entire situation. ES. The little boy is holding the CCTV picture of the ajumma. The little boy says that ajumma told him “Shh,” and he puts his finger to his lips. JW. DS asks if JW is sleeping. She says she can’t sleep. He starts kissing her. She tells him to stop and then goes to the restroom. He rolls over and wonders how many times she goes to the restroom. While in the restroom, JW thinks back to the video. ES. ES thinks that whoever killed his father and took her recordings are related. They are the same person. At the same time, the little boy sees the lady again. ES thinks the candles and the recordings have the evidence, that is why she took it. The Son wants to know what she is looking for now. They are at MJ’s place. ES says she just needs to find something. Maybe they missed something. A woman comes in. It is the son’s mother. The mother is wearing a scarf that looks just like the lady from the CCTV. SY. SH and SY sit to eat at his place. SY brought a lot of food for him. She asks him how his work is and what it is about. He says it is just a tiny company, she won’t know about it if he tells her. She asks him why he likes her. He wonders why she is asking this. SY says she has to go to her daughter. SH wants her to stay a little bit longer. But he has to take a phone call or something and steps away. SY uses this as an opportunity to go back into his office. But it looks like he cleaned up everything. SH opens the door and sees SY sneaking around. He disappears back to the kitchen. She comes out and tells him that he can give her the container back, but he says he is almost done [cleaning them]. JW. HY found the car, it is a big SUV. It looks like it is the ajumma teacher that asked JW what she was doing outside. But then another car drives up, it is the exact same car. This car belongs to the VP. JW hides. Cut to the school nurse/doctor who is the lady that JW saw in the parking lot. The doctor tells JW that she goes to the restroom a lot but isn’t thirsty, this is not about your blood sugar. JW asks this nurse if she sometimes leaves her car there. She says she never does. JW looks at the VP suspiciously, MG looks at JW looking at the VP. He is a bit curious. ES. She stares at the mother in the parking lot. It is a stare off. JW. JW is suspicious of the VP’s computer. She is going crazy. She walks over to the VP’s calendar and checks the date of the opera. The vice president left that night. Suddenly, MG saves JW from getting caught by talking to the VP. JW hurries and goes back to her seat. ES. The umma tells ES that her son grew up by himself, so he always looks for jung (like love). Whoever is kind to him, he opens up and likes that person super quickly, he doesn’t’ get as much return as he gives. He gets hurt and closes his heart. I was the one that gave him a little window in his closed mind, but now I am afraid that this window will be totally closed. I am concerned about this a lot. ES tells her that he is a strong person, don’t worry about him too much. Umma tells ES that she doesn’t’ understand her, stop, don’t cross the line. Maybe you don’t know because he isn’t showing you or maybe he is confused about his own emotions, but I know my son better than myself. As soon as I sell the house, I am going to take my son and go back to America. ES tells her not to sell the house, her son protected that house to find the real killer. Umma says that is why she is selling it, to stop that useless detective nonsense. ES asks her what she is hiding. Meanwhile, the son is searching his mother’s bags? He is in a hotel room and looking around. Perhaps he is looking for the tapes, but he doesn’t find them. He texts ES and says that he didn’t find any tapes, he told him. Umma says that ES is the one that wanted to hide things, right? Cut to the son looking at his mother’s passport, on 26 April 11 she was in Korea. He is shocked. Cut back to Umma, she tells ES that she told her that she worried that her son will close his window, it bothers her, think about it. The woman he likes, if he knows that she is the mistress of the father that he hates the most, what would he feel? The window that is only just opened, will be closed fully. SY. DS leaves and SY follows him in her car. He drives all along the city and SY follows him very closely and amateurishly. But she gets stopped by a red light. ES. ES sharpens her pencil in her office. The son calls. She meets with him in her office. He tells her that his mother lied to them. Umma told me that she met her friend in NY when my father died, but I saw her passport on accident, she came to Korea that night. Do you know how I knew abonim had a girlfriend? Two years ago, I heard her talking to my father about breaking up with that woman. I wanted to just go kill that woman and my father. I started this investigation to make sure that my mother didn’t kill my father. But, it is my mom. My mom, what if she killed them both? What should I do? ES says he should trust his mother first. She will worry about all the suspicions, you will suffer from suspicion and regret, don’t’ do that. SY goes back to the flower shop and asks if anyone is there. She sees a note. VO – I don’t know about him, just leave. She didn’t come back, I told you many, many times. Don’t worry, I didn’t’ tell her what you are doing. Let me ask you a question. You told her you divorced eunnie. Are you really a human being? Why are you approaching her? Money? No, I don’t want to get involved with you anymore. I am not going to call you anymore. She hangs up, but then she turns and sees SY standing there. SY walks up to her. You said you don’t’ know him well, what did he say? Just tell me this, this is his business card, right? Tell me if this is his business card. VO – She was very close to eunnie, his ex-wife. After he wanted to have a divorce, eunnie committed suicide. I am sorry that I hid it from you. When I saw this in your cafe, he came to me and told me not to tell you anything just in case you showed up. I should just say that I don’t know you too well. SY goes to SH’s workplace because now she has the business card. The long-haired guy that conned her is there. He sees her and starts calling SH as he tries to dodge her. She starts to walk to the elevator or the stairs. It looks like this company is an insurance company. SH gets tipped off by the conman and calls SY, but she doesn’t receive it. He runs somewhere. He sees the conman and says that she is not picking up her phone. She turns around and sees a huge whiteboard with all the information about SY’s life and everything tied into YD and the case. It says that it looks like SH doesn’t’ know about her husband. She leaves. SH gets back to his desk and realizes that SH saw everything. SY sits at the bottom of the building to catch her breath. ES. From the CCTV it looks like Umma came to her office right away, so ES thinks she should have gone to her office before since she knew how to get there. JW. JW sends HY a text and asks if it is the right car. But MG asks her what she did with the VP. JW says it is nothing. He wants to know if something happened to her. She says it isn’t’ any of his business. He tells her that she has to make him not think about it. He helped her before, they were lucky before, but there is no guarantee they will be lucky again. JW just walks off. She continues walking down the hall amidst all the kids. The nurse comes out and tells JW to take some medicine, if she still has stomach pain then she should go to the hospital. Then she brings up that this car she is driving is another teacher’s, the one that is close to you. JW goes to the teacher’s lounge and sees this man looking at her. She also remembers MG pulling him away from her. ES. ES is still looking at all the CCTV footage. She sees a woman in a blue dress, this woman is the hair salon lady. HY. HY gets home and sees TO in her house. She tells him that he is so timid, how can he have an affair with her with that timid heart. Don’t worry, your wife still wants me to follow you. He thought she was quitting. She says she has to be the one following him, so she won’t suspect him. She tells him that they should live coolly. If he loves her then it would be difficult to go back to his wife. He is happy about that. She tells him to expect that it will be harder and more stimulating in the future. SY. SH waits for her in front of her house. She pushes him and says that he approached her because he thought she killed her husband and wanted the insurance money? He says it was like that at the beginning but now it is different, your husband is not the guy that you think he is. He apologizes, he didn’t’ know it would be like this. He didn’t’ think this would happen. She tells him that of course, he didn’t’ expect that this stupid woman would figure out his identity so quickly. He says he didn’t’ think he would love her. She tells him that he is really trash. If you touch me one more time, I will kill you. She leaves him outside as she goes into her building. HY. TO tells HY that he has a really important meeting, he has to leave. They are at a club, she tells him to think about tomorrow when tomorrow comes. She goes to the bathroom and sees someone that she knows. It looks like TO’s wife might be at this club, but she is drunk and in the bathroom. Her friend asks her why she always does this. HY runs out and tells him that they shouldn’t be there. She tries to pull him away. How did she know, do you have an app on your phone? But then she sees the girl in the blue dress. She tells TO not to look. But TO looks at her and TO is all like, that lady is not my wife. SH. Back at the insurance company, SH is still on the case with finding YD. He says, where are you at YD? Okay, so SH isn’t a gangster, he is just a shady insurance person that is trying to find out whether SW committed insurance fraud, and fell in love with her while on the case. Too bad it looks like he will literally die because of it. Thanks for the recaps, I think the Viki subs are a little off sometimes so this is very helpful! This show is so great. I’m so glad our recaps help and so glad that someone in the Viki team is subbing this one because I want a lot of people to watch it!